While half of the country is being pummeled by snow storms, here in zone 7, we are having a very mild winter. As the sporadic temperature here has us flirting with short sleeves one day and long johns the next, it’s hard to get a read on the weather. Yet, regardless of where you are and what it may feel like outside, now is the best time to start planning for your garden so you will be prepared for the first signs of springtime. If it’s too cold to go out and clean up your beds, you can still get some very important work done during this part of the year, inside. 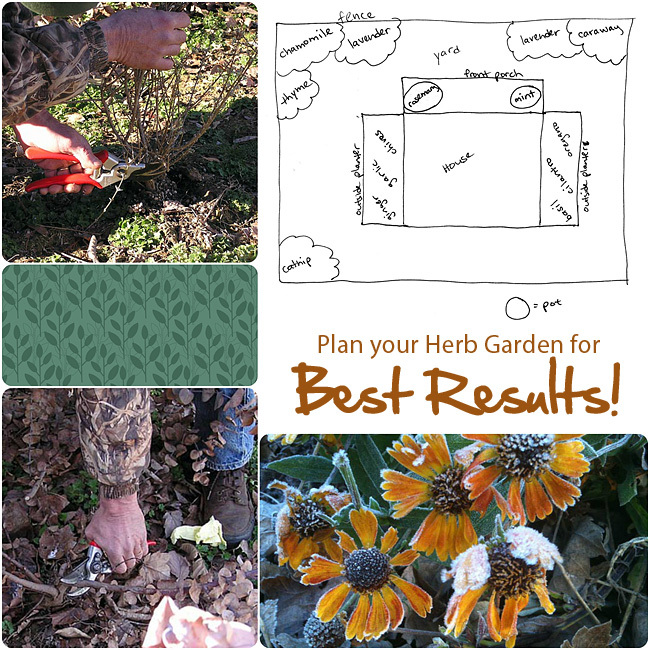 It’s a great time to start thinking about where you want to add or expand your gardens, what plants you want to grow, and to collect design ideas to give yourself a new project once the ground thaws. We’ve always kept a journal so that we can sketch ideas for new gardens, jot down new styles that we’d like to try, or record interesting plants we want to try growing. With the growing popularity of social media sites, especially Pinterest, a site that allows you to easily share pictures of everything from fashion to flower gardens, you can virtually plan your spring garden by collecting and sharing pictures and ideas online. Also, organize your plant and seed catalogs that you’re probably receiving by the dozen during this time of year. Filing your catalogs will give you quick and easy access to information on plants and make your order process a lot less frustrating. The Right “Thyme” To Prune? Before you can break ground for Spring, it’s very important to remove all old debris from your garden. 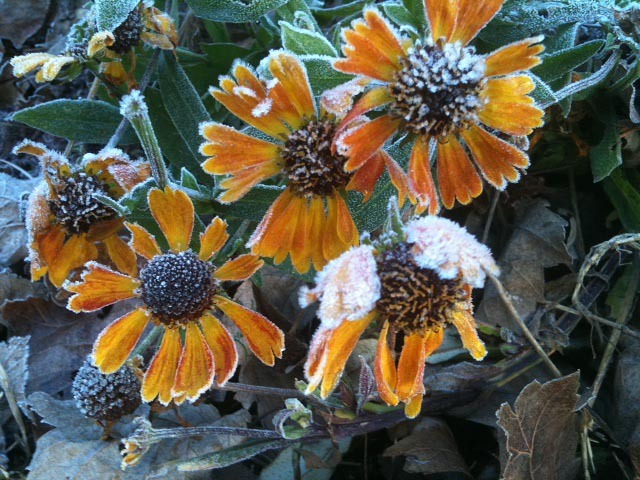 A great way to get out of the house and into the garden this winter is to clear the remnants of your last garden. Yet, do your homework before you eagerly mow down the last standing stalks from your garden. Many perennials like Thyme and Sage, shouldn’t be trimmed down until early spring, as a good prune will force them too early in the season to start producing tender new foliage. Leaving the foliage intact for many perennials, helps protect the plant from freezing, so be sure to prune in late summer and then begin again in early spring once winter’s worst is out of the way. To lessen winter kill on plants like Buddleias (or as we call them, “Butterfly Bushes”), it’s best to wait until you see signs of green at the base of the bush before you trim it down to about 12 inches. The same goes for tender perennial herbs like Lavender. Though it’s usually the excess moisture over the winter that threatens this aromatic herb, the new growth is very cold sensitive so don’t prune the old foliage back until around February or you will damage the plant. Pruning you Lavender back early may also reduce the flower buds, so even if you plant remains healthy, it may not be as productive. For seed bearing herbs, like Echinacea purpurea, you can let the stalks stay until the birds have eaten their fill of the plentiful seed heads and then cut the plants back to the ground foliage. 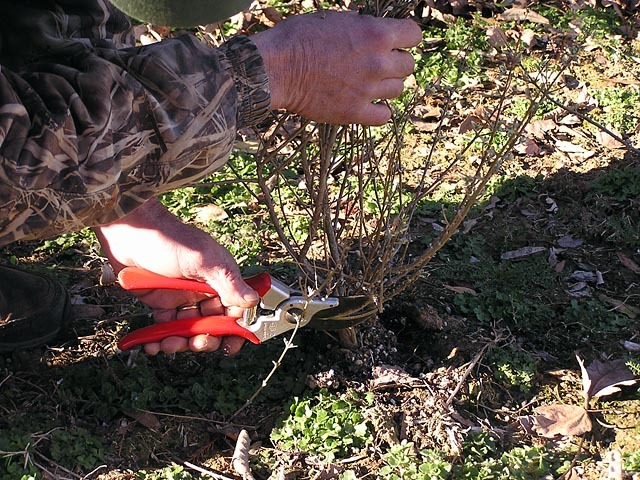 Prune broken, damaged or dead branches immediately to prevent attracting disease. 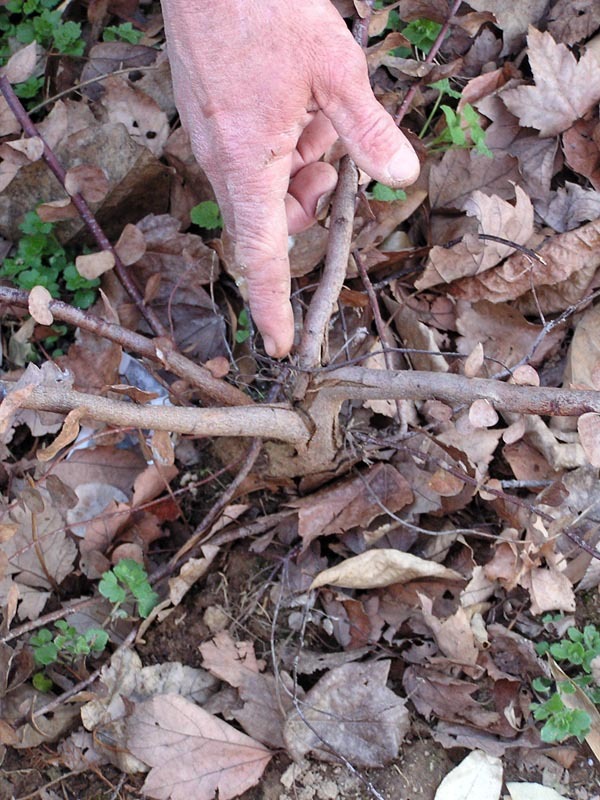 If you see any breakage, damage or dead limbs or stems, prune immediately to prevent attracting fungus and disease. Otherwise, make sure to prune only when the plants are dormant, to prevent trimming new growth and stressing the plant. Here in zone 7, February is a great time to prune perennials before they begin to flush out. 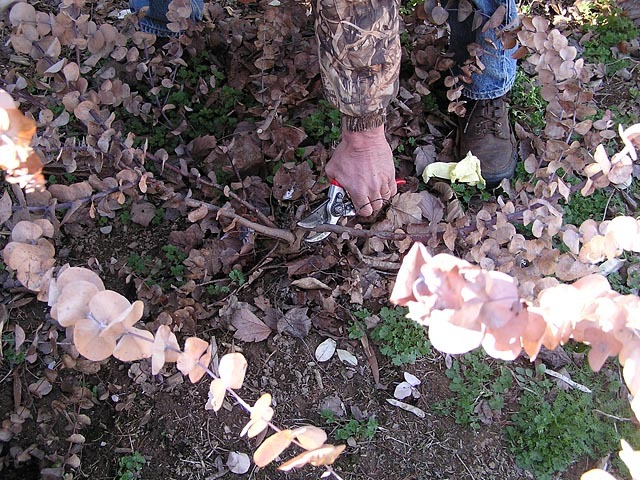 When pruning, also keep in mind the “33% Rule”, which means you should only remove 33% of the healthy foliage when pruning. While some of the perennials may need their unkempt winter foliage for protection, if you have any leftover annuals still residing in your garden, they can go. Remove long-dead annuals that may still be haunting your garden, like Basils and Nasturtiums, as this lingering debris will only invite problems for this spring. Protect your favorite container plants from winter’s freezing temperatures. Container gardening is a great way to grow great plants with little space at hand, easily change the look of your landscape by rotating them to different areas, and can are a terrific way to continue gardening through the winter. For those of us who don’t have the space to accommodate our collection of container plants inside, what do you do? In warmer zones that may still get a good freeze, if you don’t have a garage or a greenhouse, you can still fortify your plants for winter and try to spare them from the cold. Keep in mind that containers will freeze and thaw quicker than your flower beds, since there is a lot less area and a lot less warmth because it’s a free standing pot. You can protect your plants’ roots and the container (especially if it is made of terracotta- these may crack over time as the soil inside freezes and thaws) by digging a hole in your garden and burying the pot up to the soil level. This works well for perennials, and you can add mulch or cover the tops with plastic if the temperature begins to really drop. 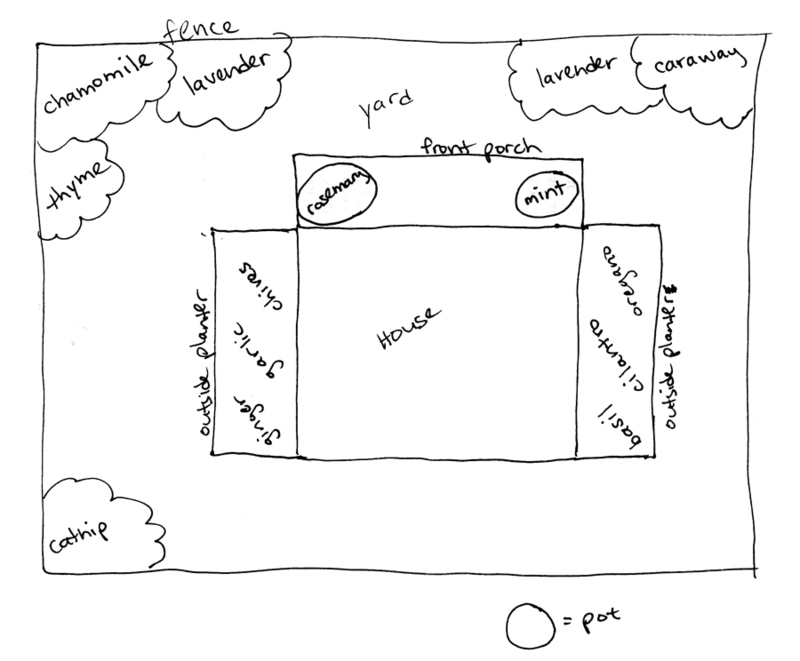 I read recently about a couple who created their own greenhouse down in Arkansas from a picnic table and some plastic. First, they elevated their picnic table with bricks and mulched underneath with leaves and straw to create a good bed. Next, they corralled their containers close together in the mulch bed and insulated around the sides and tops of the pots with more of the mulch mix. Lastly, they covered the whole picnic table with sheets of plastic which they held in place with more bricks. During the day when it was warm, they lifted part of the plastic to let the plants breathe, but otherwise, the plastic held in the heat and condensation from the sun to protect the plants like a mini greenhouse!